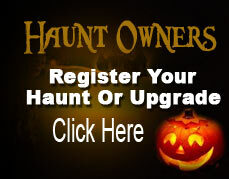 This Old School style haunted attraction has over 10,000 square feet of scares, fun and excitement. The outside atmosphere is one the most unique in the industry, featuring all your favorite characters and live bands on the outdoor stage. It has frequently been called one the BEST HAUNTED ATTRACTIONS IN THE UNITED STATES and the MOST ANTICIPATED HAUNTED ATTRACTION OF THE SEASON. 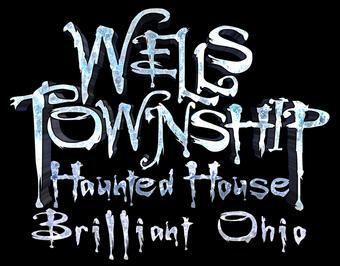 Come see why the WELLS TOWNSHIP HAUNTED HOUSE has been voted THE NUMBER ONE HAUNTED ATTRACTION IN OHIO, KENTUCKY AND INDIANA. You are simply not ready for this!!! Fridays & Saturdays through November 3. We do not recommend our haunt to anyone under 12 years of age. We will allow those under 12 to tour the haunt if they wish, however, they do so at their own risk. This haunt is very scary and intended for mature audiences based on that alone. There is no adult themed matter, just rooms aimed at scaring older tourists. We host a LIGHTS ON TOUR for our younger fans. This is designed for elementary aged and younger school children.